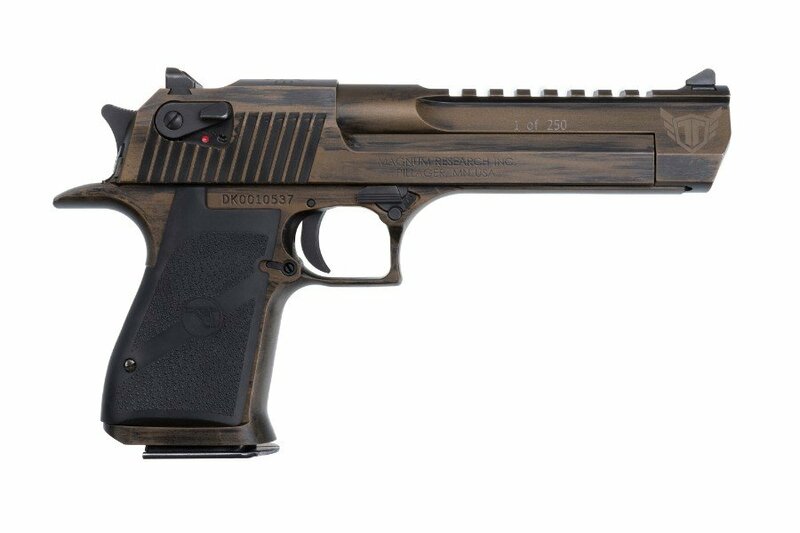 Magnum Research is anticipating the release of the 2018 TIG Series Desert Eagle .50AE in a custom Battle Worn Bronze Cerakote® finish. 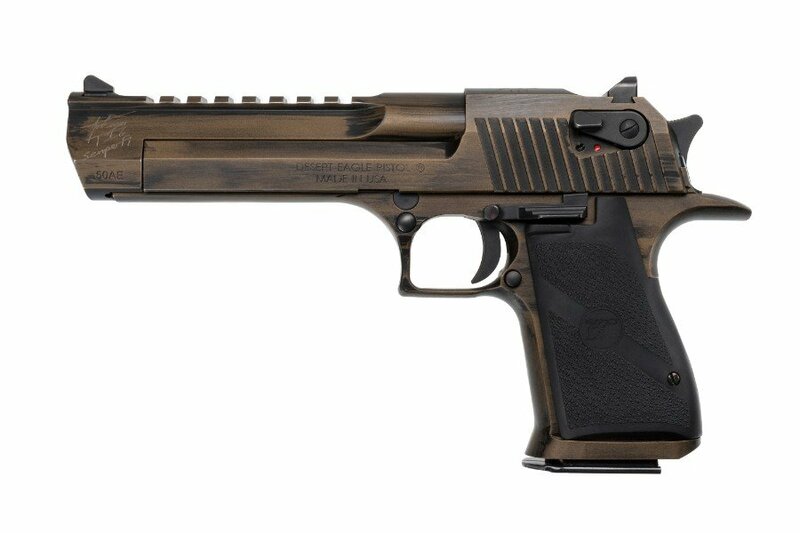 Each pistol will be hand finished to give each one a unique look. 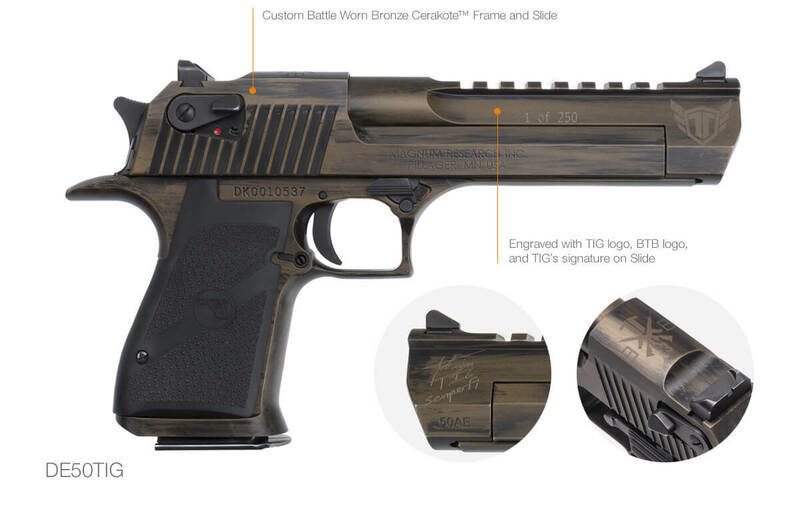 This is a special edition series of 250 Desert Eagles. 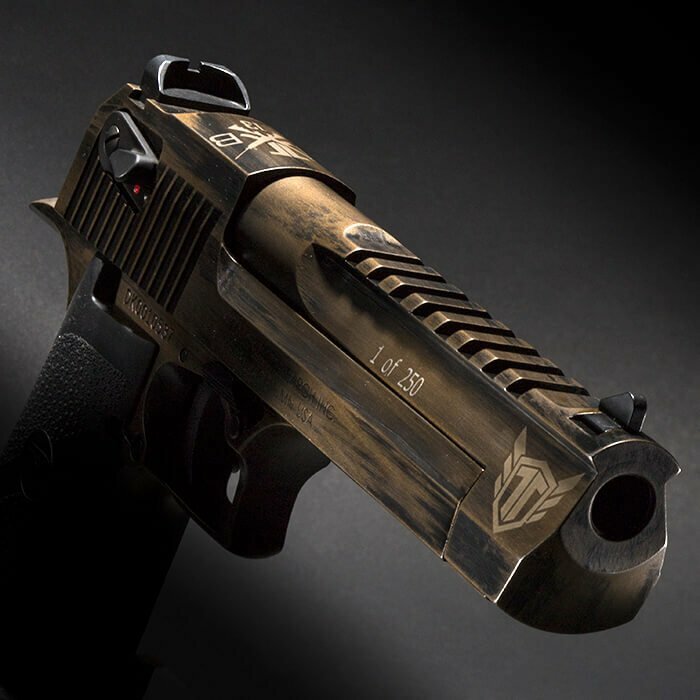 Engravings on each pistol will include its number in the series, the TIG logo, TIG’s signature and the Beyond the Battlefield logo. 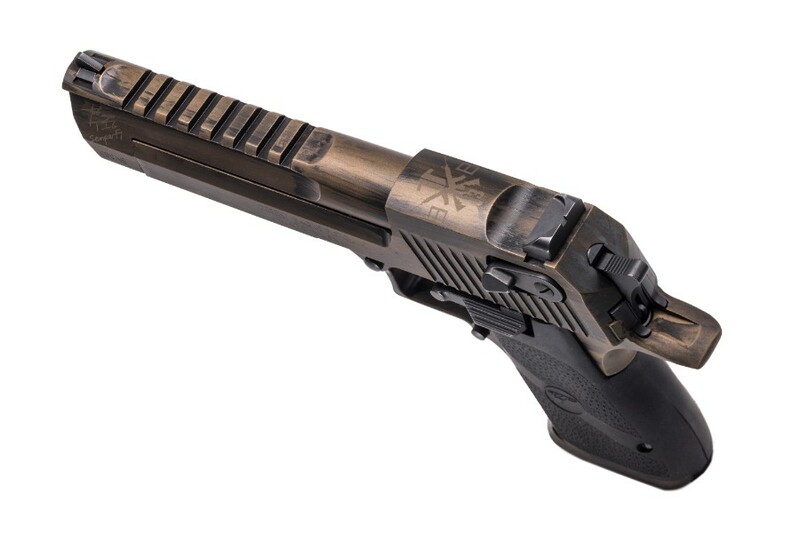 Part of the proceeds from the sale of each firearm will be donated to the Beyond the Battlefield (BTB) Foundation by Kahr Firearms Group, the parent company of Magnum Research Inc. Beyond the Battlefield is a non-profit 501(c)(3) organization that John “TIG” Tiegen and his wife Margaret founded in 2017. Its mission is to provide support for wounded veterans as they face the many challenges encountered during rehabilitation, the healing process and reintegration into everyday life. (Empty Magazine): 4 lbs. 5.8 oz.